Varsfontein Stud’s resident stallion Master Of My Fate has made an impressive start to his stud career, and the high class son of Jet Master enjoyed a first crop Derby win on Sunday, when his talented son Silverstone Air romped home to an effortless, eight length win in the Silverstone Air Kenya Derby at Ngong. Silverstone Air, who had previously won the Britam Kenya Guineas, is clearly the top 3yo of his generation in Kenya and another fine advert for his promising young sire. 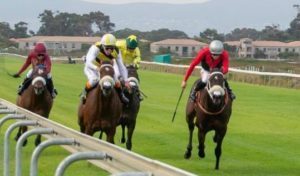 Master Of My Fate, a winner of six of his eight starts, also enjoyed more success in South Africa this weekend, when his daughter Magic’s First scored a courageous win at Turffontein on Saturday. The progressive 3yo Magic’s First made it two wins from her last three starts when holding off Emily Hobhouse to win by a head. Now unbeaten in two starts over 2400m, the Tinus Gericke bred Magic’s First was a R75 000 buy from the 2017 National Yearling Sale. Interestingly, both Silverstone Air and Magic’s First are both out of daughters of Fort Wood, with Silverstone Air out of Lady Magic and Magic’s First out of Magic Smoke. 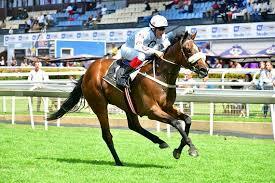 Master Of My Fate, whose 2yos this season include Ruffian Stakes winner Basadi Faith, has 26 lots on offer at the 2019 Emperors Palace National Yearling Sale including yearlings out of the stakes winning mares Aquila Rapax, Blushing Fairy, My Kazzie, Sovereign Beat, Townsend and Valor Red. NextDanon Platina sister off the mark!